The Point of Aventura is a luxury waterfront condominium community comprised of 5 residential condominiums; Atlantic I, Atlantic II, Atlantic III, The Point North Tower & The Point South Tower condominiums as well as the Courtyard waterfront townhomes. 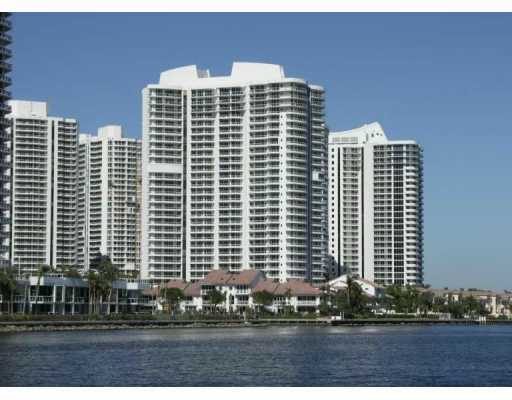 This luxury Aventura condominium and townhome community is set amidst 36 acres of landscaped waterfront park area. Within this community, residents have access to a variety of exercise and relaxation activities, which include: two oversized swimming pools, a waterfront social pool, and children’s pool and play area, an Intracoastal Waterway viewing pier and much more. The Point of Aventura community also features a waterfront promenade surrounding The Point marina. This boardwalk provides residents with a convenient 1-mile path directly to the local shopping and fine dining at The Waterways Shoppes across the bay. At the center of The Point of Aventura community is the 25,000 square foot Residents Club & Spa. The expansive clubhouse features Mediterranean architecture, and is open only to Atlantic and Point residents. The Residents Club & Spa facilities include: The Point Place Café; a fully equipped cardio, weight training, and aerobics facility; his and hers spa and treatment facilities; billiards room, garden, and media rooms; and a private nail care studio.